The Best European Law Blogs from thousands of European Law blogs in our index using search and social metrics. We’ve carefully selected these websites because they are actively working to educate, inspire, and empower their readers with frequent updates and high-quality information. European Law newsletter is a comprehensive summary of the day's most important blog posts and news articles from the best European Law websites on the web, and delivered to your email inbox each morning. To subscribe, simply provide us with your email address. Brussels About Blog The European Law Blog aims to highlight, and comment on, current developments in EU case law and legislation. Facebook fans n/a. Twitter followers 4,506. London About Blog Updates on the EU Law Analysis blog and other EU law developments, offering expert insight into EU law. Facebook fans 3,923. Twitter followers 58,362. About Blog Welcome to the website of one of the world's leading International law journals. The European Journal of International Law was established in 1990 by a small group of distinguished scholars based at the European University Institute in Florence. Follow us to keep up with articles on International law. Facebook fans 5,337. Twitter followers 10,544. Slovenia About Blog Welcome to the Central EU Law Blog for Students! This blog is serving as a virtual meeting point for law students to interact and exchange their perspectives upon topical issues of EU law and upon their respective national legal orders. It is intended for students of all levels of studies. Facebook fans 8,485. Twitter followers 4,082. Bristol, England About Blog This is a blog about EU law, with a focus on free movement, public procurement and competition law issues. I use it to publish my thoughts on recent developments and to comment on selected Judgments of the Court of Justice of the EU. Amsterdam, the Netherlands About Blog Find Recent developments in European Consumer Law on this blog. Joasia Luzak is the author of this blog and she is Associate Professor at University of Exeter Law School. Florence, Tuscany About Blog The European Society of International Law contributes to the rule of law in international relations and promotes the study of public international law. Facebook fans n/a. Twitter followers 5,295. Brussels About Blog The mission of this blog is to provide a critical analysis of recent developments in the immigration and asylum law and policy of the European Union. The articles published on the blog are written by university academics and other experts from across the European Union who specialise in immigration and asylum law. About Blog A place to find out what's going on in the greater Tallahassee area. Reddit gives you the best of the internet in one place. Get a constantly updating feed of breaking news, fun stories, pics, memes, and videos of Tallahassee just for you. Facebook fans 1,195,339. Twitter followers 567,235. London About Blog Posting articles every day, EUROPP is a multi-disciplinary blog covering all aspects of European life, governance and politics. Facebook fans 11,430. Twitter followers 26,996. About Blog LSE Brexit is a multi-disciplinary, evidence-based blog run by the London School of Economics and Political Science. Our aim is to inform the debate in the aftermath of the referendum on Britain’s membership of the European Union with accessible commentary and research. Facebook fans 1,591. Twitter followers 22,887. London About Blog An informal academic forum for discussion of topical EU Law matters. Facebook fans 1,239. Twitter followers 990. Bristol About Blog University of Bristol Law School gives information about UK law in this blog. Facebook fans 14,104. Twitter followers 3,796. Brussels, Belgium About Blog The European Parliamentary Research Service (EPRS) provides comprehensive research and analytical support to the Members of the European Parliament, its parliamentary committees and the European Parliament as a whole. The EPRS philosophy is to provide independent, objective and authoritative information. Facebook fans n/a. Twitter followers 19,789. United Kingdom About Blog Get updates about UK-EU relations from this blog. Facebook fans 1,686. Twitter followers 16,724. Berlin About Blog Verfassungsblog is a forum of debate on topical events and developments in constitutional law and politics in Germany, the emerging European constitutional space, and beyond. It sees itself as an interface between the academic expert discourse on the one hand and the political public sphere on the other. Facebook fans 6,700. Twitter followers 7,735. London About Blog We cover recent developments relating to sanctions, including new European sanctions measures, and cases in the European and United Kingdom courts. Facebook fans n/a. Twitter followers 2,596. Eastleigh, Hampshire, UK About Blog European Law Monitor gives information about news and information on the EU, including latest Directives and Regulations., training and research and more. About Blog Regulation for Globalization is a Kluwer Law International blog, and it is designed to address the significant changes taking place that are changing the rules of international business, especially (1) trade law, (2) EU law, and (3) labor law. These forces are dramatic and the blog will highlight developments and opinion on the topics. Facebook fans 22,751. Twitter followers 12,836. About Blog German civil procedure: Court procedures in Germany follow very different rules compared to the USA. Learn more about german civil procedure rules. Netherlands About Blog Get information about the European Convention on Human Rights and Fundamental Freedoms. About Blog A blog about European Law and European lawyers in dispute. Utrecht, The Netherlands About Blog This is the central point of information, research and discussion of the issues concerning enforcement of EU laws and policies. Every month, an expert in the field of EU law enforcement shares his or her knowledge and research via a blogpost. Furthermore, this website provides a publication list of books and articles regarding the enforcement of EU law. London About Blog Nikos Skoutaris is a Senior Lecturer in EU Law at the University of East Anglia. His research interests lie in the intersection between EU law, comparative constitutional law and conflict resolution theory. He gives information about the same in this blog. London About Blog EUtopia law was founded by members of Matrix Chambers' EU law group. It aims at commenting selectively on interesting developments in EU law, particularly as they affect lawyers' practice areas, and at contributing to the debate on topical issues. 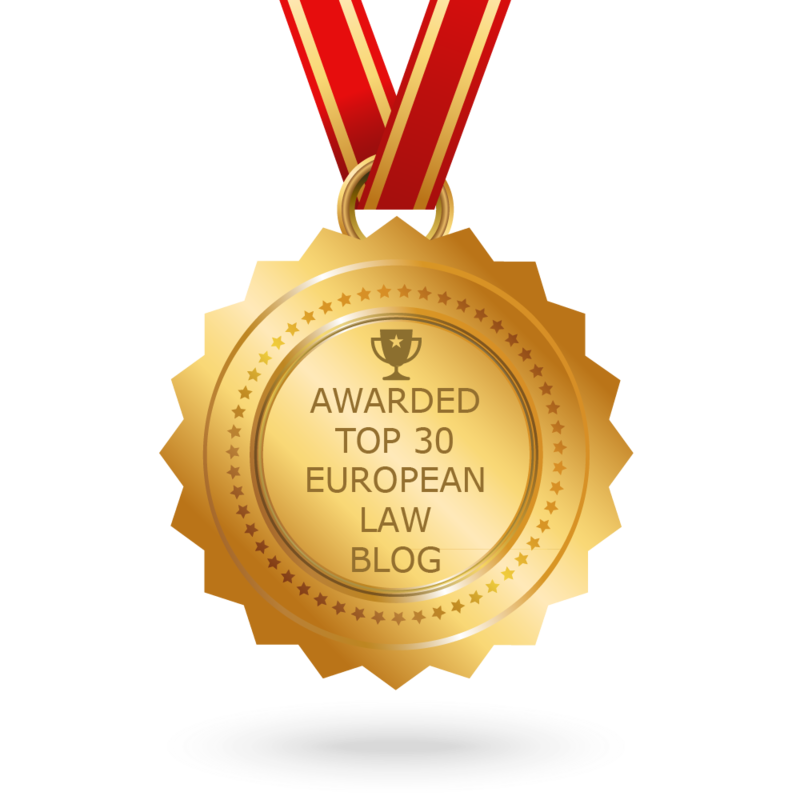 CONGRATULATIONS to every blogger that has made this Top European Law Blogs list! This is the most comprehensive list of best European Law blogs on the internet and I’m honoured to have you as part of this! I personally give you a high-five and want to thank you for your contribution to this world.